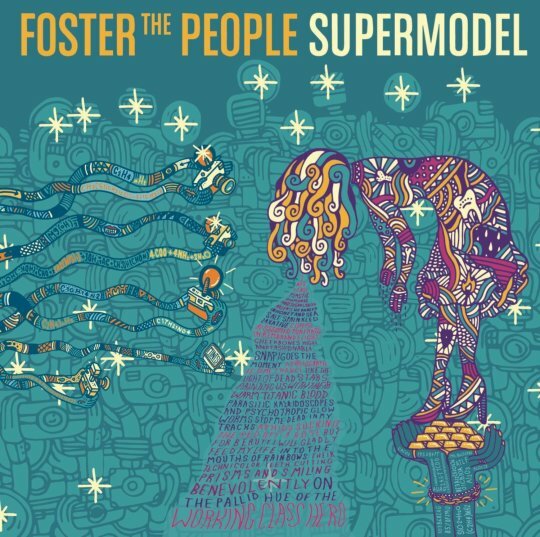 Supermodel is the second full studio album by L.A. based band Foster The People, released in 2014. Their 2011 debut studio album, Torches, was an indie pop hit that first allowed the band to gain a following. This album produced the popular songs “Pumped Up Kicks”, “Don’t Stop (Color on the Walls)”, and “Helena Beat”. 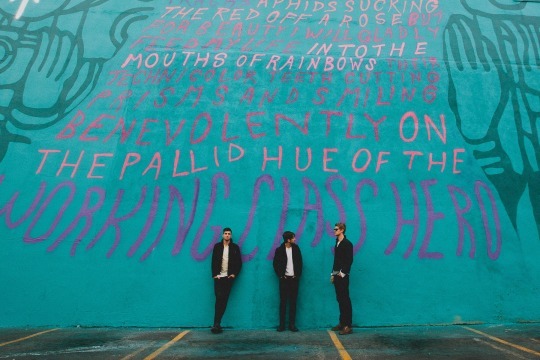 The band began stirring up hype for Supermodel in July 2014 with the creation of a giant mural in Los Angeles, depicting the album cover art. There was a legal hitch though, and the band was eventually forced to paint over the mural and restore the building to its original state only a few months after its creation. They featured one of the songs from the album, “Coming of Age”, which was also released as a single before the album was released, in a timelapse video of the mural being painted. Since the mural was painted over, there was talk of creating another mural in L.A., but as of yet nothing has come to fruition despite support from the Los Angeles mayor. Supermodel comes across as a slowed down version of Torches at some points, especially with “Nevermind” and “Pseudologia Fantastica”. These songs have the distorted, busy noise of “Helena Beat” and “Houdini” from Torches, without the catchy tunes. The album is homogenous throughout for the most part, which is consistent with a distinct Torches-esque sound. However, it ends with a change of pace, the stripped down “Fire Escape”. The lyrics in songs throughout the album are full of meaning and drama, but “Fire Escape” is one of the few that matches the emotional themes of the lyrics. The line “I see the seasons change, and all the young faces come and replace the dying ones”, goes flawlessly with the slower, quiet guitar and haunting vocals from lyricist and singer Mark Foster. The beautiful background vocals come through and are emphasized by not matching the timing of the lead vocals in the lyrics “Save yourself, save yourself” during the chorus. “Goats in Trees” is another slowed down, distorted, vocal-heavy track, which includes the lines “No I never wanted to be like them / I thought I was just too clever to be brought down to their level / Of misfortuned chagrin”. These lyrics reflect some of the themes of the album, including Foster’s outlook on consumerism and self worth through media. 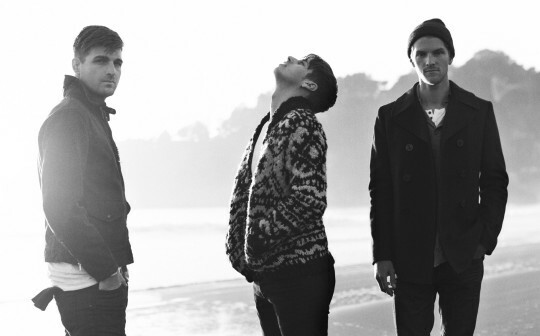 Foster The People have been mostly out of the spotlight since the end of their Summer 2015 tour for Supermodel. The band released tracks “Ruby” and “The Unforeseeable Fate of Mr. Jones” in December of 2015, teasing a yet-to-be-named third album in the works. Their sophomore album has not made as big of a splash in the mainstream as Torches, which put the band on the map in the first place, but fans are definitely waiting eagerly for whatever they put out next. Notable tracks from Supermodel include “Are You What You Want to Be?”, “Coming of Age” and “Best Friend”.